Violin Concerto in F Major, RV 286, "Concerto per la solennita di San Lorenzo"
Over the past several decades, Italian violinist and conductor Fabio Biondi has become inseparable musically from Antonio Vivaldi. This album offers further proof of the astonishing imaginative powers of Vivaldi as a composer of violin concertos, matched here by Biondi’s own dynamic and cultured virtuosity. 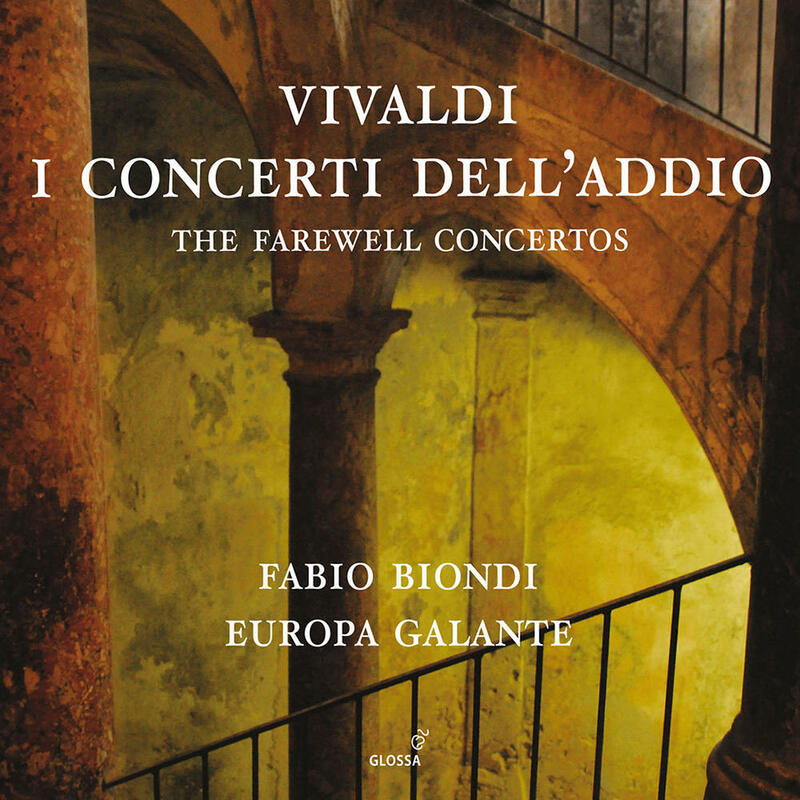 With these Farewell Concertos Biondi, leading Europa Galante, turns to works written by a Vivaldi very near the end of his life. Biondi’s selection of concertos provides him full scope to portray the vivid and masterfully conceived imagery, the compendium of violin techniques and the opportunities for improvisation implicit in Vivaldi’s maturity.